As you begin to plan your wedding, your ceremony should reflect your personality as a couple now and what you are building together for the future. As your wedding officiant we will help you design a celebration that will be personal, unique and memorable for you and your guests. The ceremony is the heart of your wedding day. It is our desire to help you create a one-of-a-kind ceremony that is personalized and customized. You may be a couple that wants a traditional religious ceremony or a ceremony that has spiritual elements, but doesn’t conform to a specific faith or denomination. Perhaps you may want to create a ceremony that is non-religious. Your courtship story, your families, your level of religiosity, and cultural heritage are all elements that can be honored in your ceremony. Together we will create a personal wedding ceremony that is special, meaningful and distinctly you. 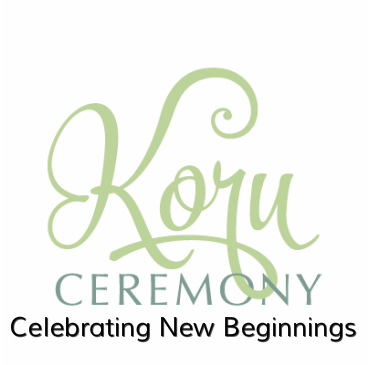 At Koru Ceremony we offer an extensive list of ceremony options that includes ceremonial text, romantic readings, scripture, music, and individualized plans for your processional and recessional. We can provide you with a list of vendors we have worked with, as well as information on how to acquire a Wisconsin marriage license, and much more. No matter what your Christian denomination (Catholic, Lutheran, Baptist, etc.) you may want a religious ceremony that incorporates God and your own personal beliefs into the ceremony. The service may contain traditional religious elements, such as biblical readings and prayers, as well as new and inspired elements we create together. Your ceremony can honor each of your cultural and religious backgrounds (Christian, Jewish, Buddhist, etc. ), as well as your personal spirituality you have embraced both individually and as a couple. We can include your ethnic traditions through words, music and rituals in a warm and inclusive way that emphasizes the love and common ground that brought you together. Today many couples are choosing a non-traditional, spiritual path that does not conform to a specific faith, but blends elements from many sources for a personal meaning of God. We can craft a ceremony for you that is a synthesis of your spiritual journey that brought you to this moment and your commitment as a couple. You can have a meaningful ceremony based on the love that drew you together and what is most meaningful to you in your life as a couple. Incorporating words and music into a heartfelt ceremony, full of love and celebration can be a source of inspiration for all those present. This consultation is an opportunity to meet you. We will ask questions about how you meet and a little bit about your dating history and the proposal so we can create a ceremony that reflects your distinctive relationship. We will discuss your vision for your wedding. Some couples know exactly what they want and others would like more guidance in putting together a ceremony. We will talk about potential options for the service, ideas and different aspects of the service. Some ceremony details to consider are the processional and recessional, readings, music, and whether you would like to write your own vows or use vows from the examples we will provide. We will go into depth about the choices you have made from the extensive menu of options we will provide so you are intimately involved in the creation of your ceremony. After the second meeting a rough draft or script of the celebration will be written and emailed to you for your approval. If there are any additional changes, a newly revised draft will be sent before your final approval. With a customized ceremony in hand, you will feel confident knowing your wedding is personalized to reflect your wishes and desires. Although a rehearsal is not a requirement, we meet you on the day before the wedding date at the ceremony location. We will help you orchestrate the flow of the rehearsal and will be available to answer any questions. The goal of the rehearsal is to help the couple, wedding party and family feel comfortable knowing what to expect on the wedding day. A rehearsal typically takes approximately one hour. 30 minutes before your ceremony begins we will check in with each of you and make sure you feel prepared and ready. 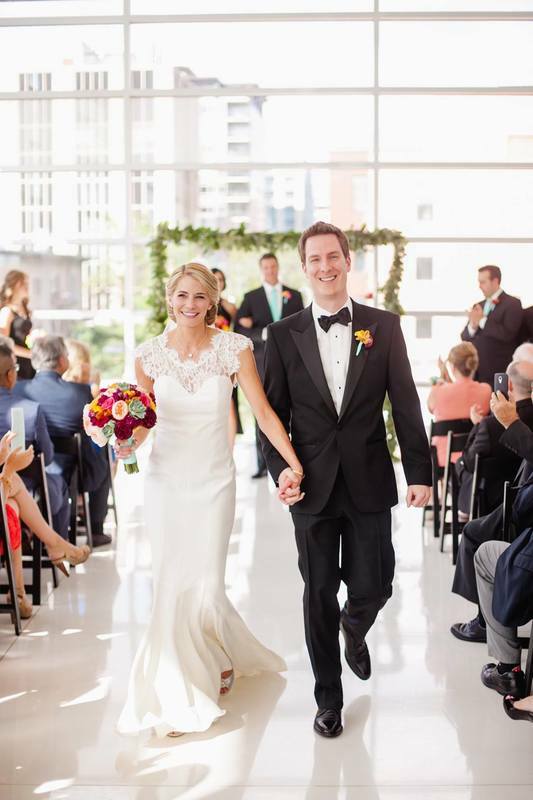 It is our goal to have your ceremony run as smoothly as possible. You can be worry-free, knowing the details for the ceremony are being handled, allowing you to be fully present in the moment, and enjoying your big day to the fullest. After the ceremony we will sign your marriage license and make sure your two witnesses sign the wedding license. Koru Ceremony will be responsible for proper completion of the marriage license and file it with the State within three days of your wedding day. We will also send you information about changing your last name, if you choose to do so, within a couple days of the wedding. Contact Rev. Pat at 608.213.7558 or koruceremony@gmail.com or fill out the contact form to check for our availability.